Pisco Sour & Ceviche Lesson at the Exclusive "La Rosa Nautica"
Welcome to Peru (flight from US to Lima is included). Upon arrival to the airport you will be privately transferred to your hotel for an evening at leisure to explore the neighborhood or rest after a long flight. Today, you will be introduced in the history of Peruvian gastronomy; your culinary adventure begins at a typical “Peruvian market” where you can appreciate a wide variety of Peruvian product and enjoy and taste exotic fruits. You will be amazed by the huge variety of fish and seafood our ocean, considered one of the richest in the World, has to offer. Visit an exclusive Peruvian restaurant, “La Rosa Náutica”, where you will have the opportunity to prepare your own “Pisco Sour” and the famous “Ceviche”. Later, enjoy a delicious lunch, consisting of the most symbolic dishes of Peruvian cuisine. Breakfast at the hotel, check out and private transfer out to airport (flight from Lima to Cusco included). Upon arrival to Cusco you will be transferred to your hotel. Drop off your things and get started discovering this charming, colorful city of Cusco, declared a World Heritage Site by Unesco and home to a somewhat particular essence. The tour will start at the Koricancha temple, an ancient Inca palace and main worship center of the Sun God, where the order of the Dominicans built an incredible church that can still be seen. Tour the Plaza de Armas, where the Cathedral and the beautiful Church of the Society of Jesus, among other colonial buildings, are located. Continue your journey to the colonial church of San Cristóbal to enjoy a spectacular view of the city. Afterwards, head to the fortress of Sacsayhuaman, an Inca building known for its massive walls of hewn stone located strategically on a hill, with a broad view of the city of Cusco. Later, you will visit the important archaeological complexes of Qenko and Puca Pucara. Discover the best of the Sacred Valley of the Incas starting on the Inca's Balcony, a beautiful place with an impressive view of Chinchero ruins and city. 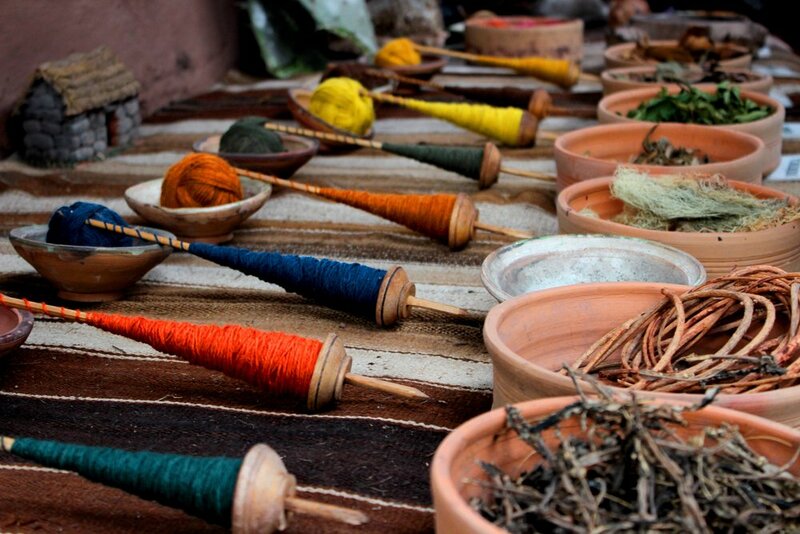 Twelve families living here still preserve their traditional mores and demonstrate the ancestral way in which they process the wool, and obtain those vivid colors for their textiles. Later, we will arrive to Moray, an impressing pre-Inca greenhouse where we will have lunch in a local restaurant. Afterwards, head to Ollantaytambo, one of the most monumental architectural complexes of the ancient Inca Empire and also one of the few places where the Spanish conquistadors lost a major battle. Very well known for its “andenes” (terraces dug into the slopes of mountains for agricultural purposes), Ollantaytambo was a highly effective fortress, that also served as a temple. Continue to the charming town of Ollantaytambo itself, with narrow cobblestone streets that have been continuously inhabited since the 18th century. You will be transferred to your hotel for an overnight and evening at leisure. Have an early breakfast at the hotel and check out for an amazing day-long adventure. 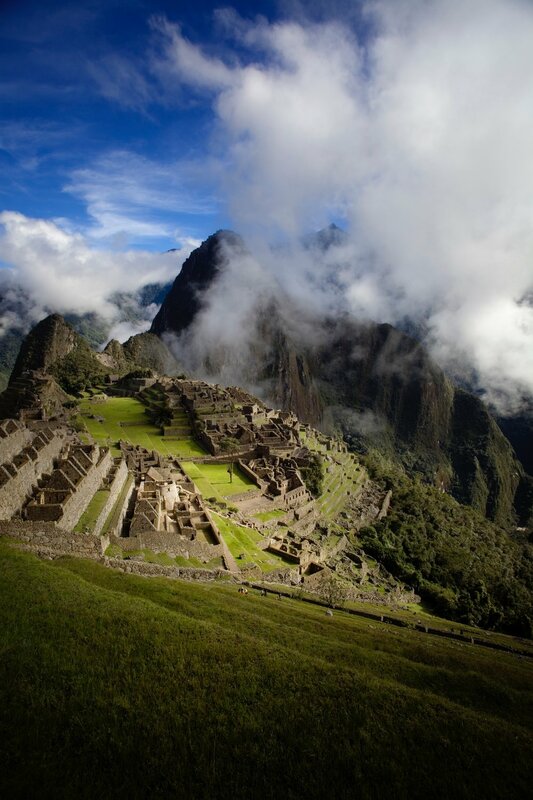 Awaiting you today is by far and away one of the highlights in world tourism: Machu Picchu. Your adventure starts onboard the Expedition train. After your arrival at the city of Aguas Calientes, you will disembark and then board a bus that drives you to the actual archaeological and unforgettable site of Machu Picchu. In this tour you will discover this new Wonder of the World and UNESCO World Cultural Heritage site. At the agreed upon hour, descend to Aguas Calientes and, later on, board the train for your return trip. Enjoy an evening at leisure to relax. Start your day early, at 3:00am, when you will leave your hotel en route to the south. The first stop is at Pitumarca, where you take an unmade road to the village of Quesiuno. From there you will be taken to Inkintuyoc Bridge for a restorative breakfast. Begin the walk along the banks of a beautiful creek; the ascent has beautiful scenery and you will see herds of llama and alpaca. The region's highest mountain, Apu Ausangate, is visible throughout the journey, captivating you with its magic and energy. A box lunch is provided. Back to the trail to see the crops -especially the many varieties of potato- grown in the zone. You may also see wild animals such as chinchillas, vicuñas and perhaps the Andean cat. Some hours of walking bring you to the principal attraction of this experience Vinicunca, known as Rainbow Mountain. On arrival there will be a small Andean ceremony offering coca leaves to the Apu as a gesture of thanks for allowing us to arrive safely. After that you can explore the zone, take photos and rest before the descent. Enjoy your final night on your own in the lively city of Cusco! After check out you will be transferred out to the airport for your connecting flight home through Lima.